A Notary is a qualified lawyer – (usually also a solicitor) -a member of the third and oldest branch of the legal profession in the United Kingdom. 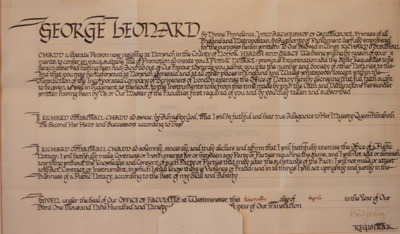 We are appointed by the Archbishop of Canterbury and subject to regulation by the Court of Faculties. The rules governing Notaries are very similar to those which govern Solicitors. We must be fully insured and maintain cover for the protection of our clients and those who rely on our notarial acts. We must keep clients’ money separate and comply with strict rules of practice, conduct and discipline. 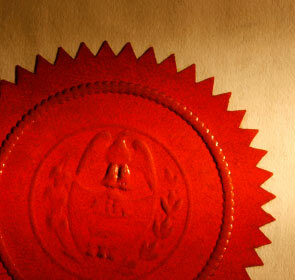 A Notary Public in England and Wales has many of the same responsibilities as Notaries in European countries. Anyone who has dealings with a Notary Public in the USA may, however, be surprised at the different formalities and increased cost of Notarial services here. The role and responsibility of the Notary Public in the United States is very different and subject to substantially less regulation. that the Notary has verified the client’s identity, capacity and authority – and their intention to be bound by the transaction. Great care is essential at every stage to minimise the risks of errors, omissions, alterations, fraud, forgery, money laundering, the use of false identity, and so on. As a Notary, I have to act independently, and my overriding duty is “to the transaction”.